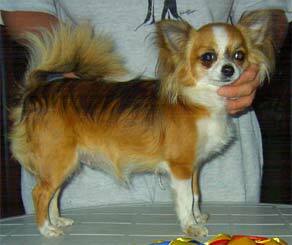 Tiddy's Vanja was BOS-puppy 4-6 months at the Swedish Chihuahua Specialty. Judge was mrs Tuula Lehtinen-Cochetti. 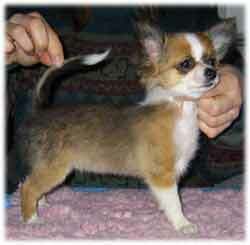 She was also BOB-puppy in September for judge Mr Herbert Heim, Germany. 1 X CAC in Sweden and 1 X VDH-CAC-A in Germany for Mr J Weinberg. 2 X CAC, 1 X BOB, 1 X BOS in Denmark, judges Kerstin Nilsson & Francesco Cochetti .